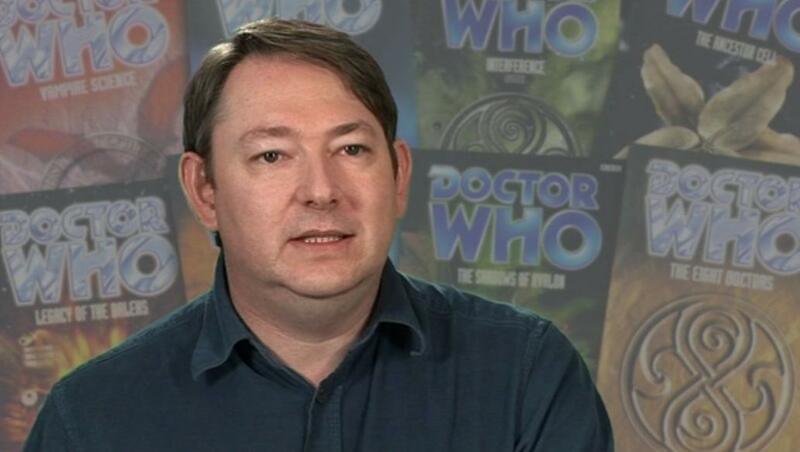 Justin Richards is one of Doctor Who’s most celebrated novelists. He has worked on the Doctor Who book range since 1994, his first novel being the 7th Doctor Virgin New Adventures book, Theatre of War. Since then Richards has continued to write for the Doctor Who range either writing novels for it or acting as Creative Consultant for BBC Books. Outside of Doctor Who, Richards created the popular Invisible Detective alongside other novel series such as Time Runners and The Chance Twins. Richards has also contributed to the Big Finish range of Doctor Who audio plays, writing for the main range as well as spin off series such as Gallifrey and Jago & Lightfoot. His most recent book, Time Lord Fairy Tales is available to buy from all good book shops (my review of the book can be found here). Hi Justin, thank you for agreeing to this interview. Firstly, I’d like to ask why do you think that Doctor Who fits so well into the landscape of fairy tales? I think it’s because Doctor Who is itself a sort of fairy tale. The Doctor is a mythical figure. He’s immortal – or just about – and he turns up out of nowhere to solve people’s problems before disappearing again. So he really is a sort of magician or fairy godmother. Plus fairy tales are, in essence, often about the same things as Doctor Who is about – monsters, injustice, magic, suspense, and love… They have happy endings, despite all the darkness that creeps in along the way – again, just like (most) Doctor Who stories. How did this collection of stories come about? I have no idea, I’m afraid. I was asked if I wanted to write it, and said yes. But I’d guess it grew from the popularity of a couple of similar stories that BBC Children’s Books included in the Doctor Who Annual a few years back, and which I wrote. David Wardle’s illustrations for the collection are wonderful and I wondered whether they reflect the way that you envisioned the worlds that appear in your stories? David’s illustrations are brilliant, aren’t they? They very much capture the feel of the stories and the tone that I was aiming for. So I think they complement the words extremely well. And of course they’re terrific pieces of Doctor Who artwork in their own right. I believe that an audio CD of the stories is set to come out in April of next year, what involvement did you have with the recording of these stories? None at all. I was told it was happening, and who’s reading each of the stories. But I haven’t been involved in making it happen. If the collection is popular (it is doing very well in the Amazon book charts) could you see another collection of similar stories being produced? I don’t see why not. They were great fun to write, so I’d certainly be happy to do some more. Just so long as we don’t run out of fairy tales to rework! You’ve written novels featuring all of the modern Doctors, which of The Doctors have you enjoyed writing for the most? I’m not sure there’s really an answer to that. I like writing for them all, but for different reasons and in different ways. And of course, underneath the mannerisms and turns of phrase it’s always the same Doctor that you’re actually writing for deep down inside. How does writing the character of The Doctor for audio differ from writing the character in a novel? Is the way you view him different? I don’t think it changes much at all, actually. What does change is what you leave out. In prose, you can gloss over speech and just summarise if that seems the best way to get information across. Obviously you can’t do that on audio. But on audio you do get the intonation and the way the dialogue is spoken, whereas in prose you sometimes have to spell that out – just as you have to describe the Doctor’s mannerisms and expressions. Finally, what projects have you got lined up for the future? I’ve got a few things I’m hoping to have time to finish and then get a publisher interested in. And of course Doctor Who is keeping me very busy. I’ve done a lot for Big Finish recently, plus editing the BBC Books publications that are coming out next year. I’m doing another book for BBC Children’s Books as well as co-writing a new Who reference book for BBC Books for next autumn. So I’m keeping busy! With thanks to Justin Richards and Penguin Books. You can buy a copy of Time Lord Fairy Tales from Amazon here and from Penguin here.